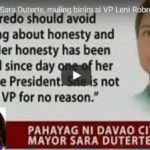 Bongbong Marcos criticizes Associate Justice Alfredo Benjamin Caguioa, the magistrate in charge of the election protest for his obvious favoring of VP Leni Robredo. He slams the alleged unfair actions of the Supreme Court that sits as the Presidential Electoral Tribunal. This is in connection with his electoral protest appeal to allow technical examination needed to nullify illegal votes. The SC recently denies it. 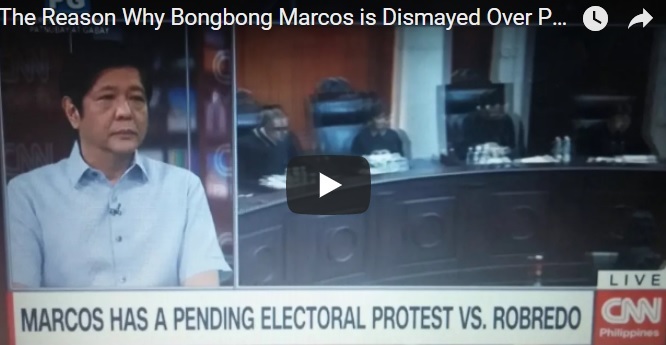 [VIDEO]: Bongbong Marcos reacts on PET’s denial on his appeal to allow the technical examination of the voters’ signatures. The 15-member tribunal dismisses Marcos’ appeal to allow the technical examination of the voters’ signatures. This is for each of the 2,756 clustered precincts in Lanao del Sur, Maguindanao and Basilan. This is where he wants the results to be annulled because of improper voting practices. The recount of ballots from the pilot provinces of Camarines Sur, Iloilo and Negros Oriental is a separate cause of action from the annulment pleas. 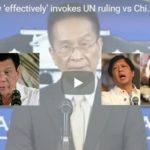 The former senator’a technical examination plea in three Mindanao provinces is due to the existence of fake voters as per their evidence. 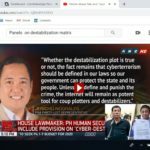 The PET also allows Robredo to get soft copies of the ballots and reports from the decrypted secure digital (SD) cards from Camarines Sur, Iloilo and Negros Oriental. She did not shoulder any expense for the process. Marcos pays for the P2,974,075 cost. Bongbong Marcos explains in an interview with CNN earlier that the technical examination is the process necessary to nullify votes that are illegal. The recount is to determine the wrong counts. 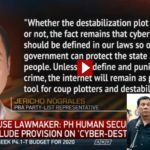 They are two different things, so it is not right to disregard the nullification of votes course of action because the 3 pilot areas limitation is only for the recount – that is scheduled to start this February 2018. Previous post: Bongbong Marcos’ Reply on How Much Wealth the Family is Willing to Settle?